In BlackSmith you can combine low-level equipment for high-level ones. Idle Heroes Strategy Game Guide. 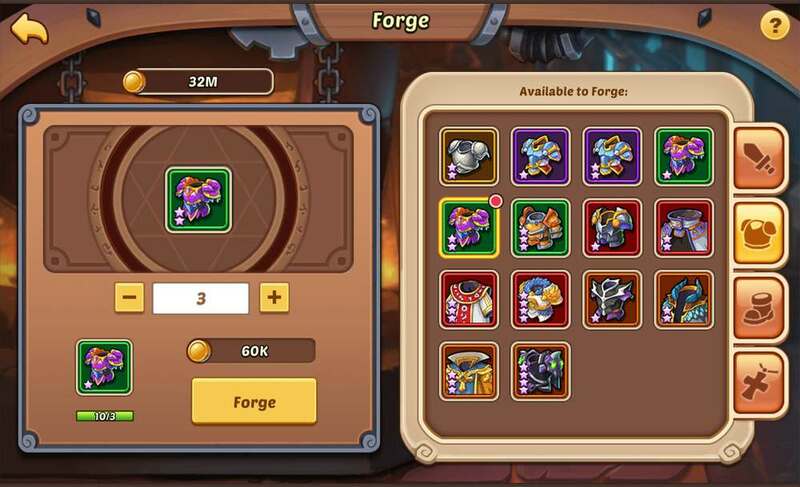 In BlackSmith you can combine 3 low-level equipment for high-level ones, it cost gold. Equipment in use won't be shown at the Blacksmith. There are Weapons, Armour, Shoes and Accessories. Over time, you will have access to higher levels of equipment through Campaign. Equip a full set of equipment to activate set bonuses.